Let’s take a bite into the comic book industry’s version of vanilla ice cream and talk about Batman. Batman is one of the most popular superheroes in the world for a reason. He’s got a great design, he’s got a cool story, he’s got tonnes of history, but most importantly…he has great villains. and the Joker needs no introduction. 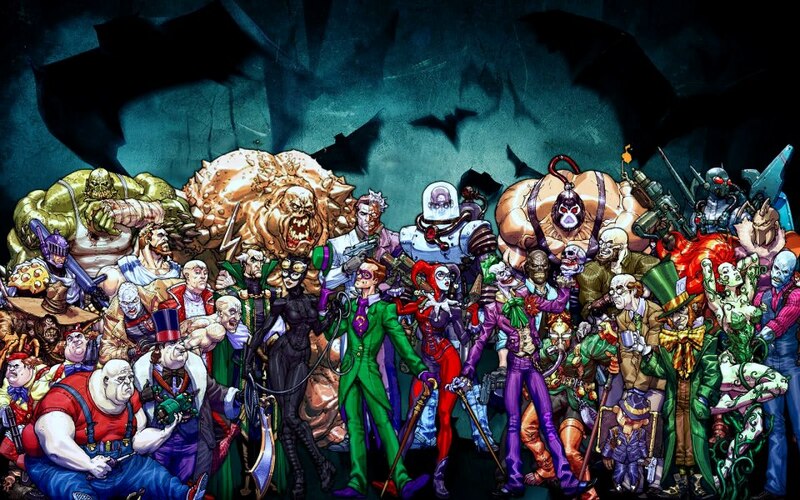 But how does Batman manage to have so many great villains? Easy, because he doesn’t kill them. Batman’s aversion to killing criminals (even if the justice system he’s sworn to protect would have put the Joker to death a long time ago) and distaste at using guns is well documented. 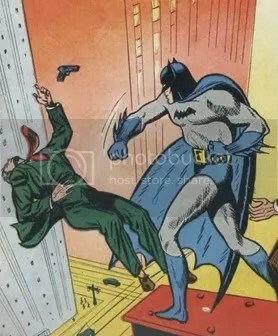 With that being said, we’ve talked about how the Batman of the Golden Age wasn’t above using guns, or even killing criminals. 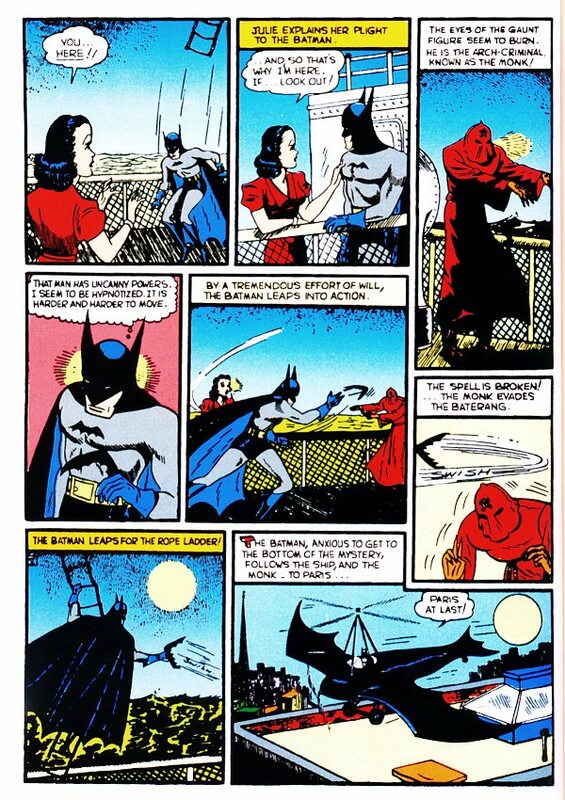 The Golden Age Batman was a much darker and violent superhero than a lot of modern iterations and as a result, he either needed equally dark and violent villains or a small army’s worth of disposable henchmen. Today we’re going to talk about one of Batman’s first adversaries, a creature of the night who wasn’t just violent and unquestionably evil, but one of Batman’s first important villains: The Mad Monk. 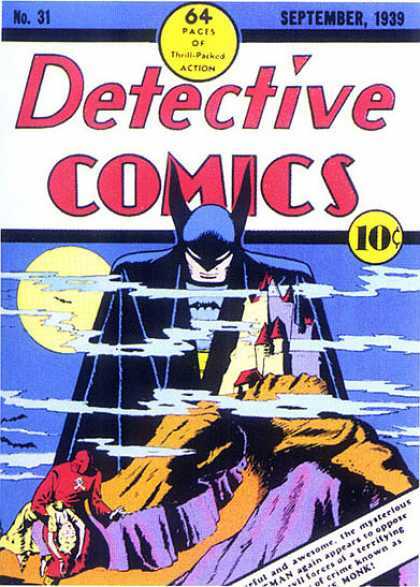 The Mad Monk made his first appearance in Detective Comics #31 in September of 1939. He beat out the Joker by 8 months. The character was created by Bob Kane and Garner Fox. 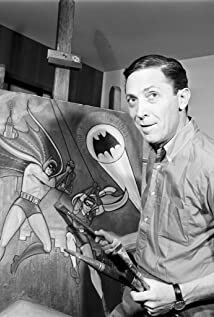 Kane is the man who is widely credited with the creation of Batman (while he did play a part, a lion’s share of the credit does go to Bill Finger) and Fox is the man who helped create little known DC heroes like the Flash, Dr. Fate, and Hawkman. The Mad Monk was a bigger, and much more mystical and terrifying, threat. 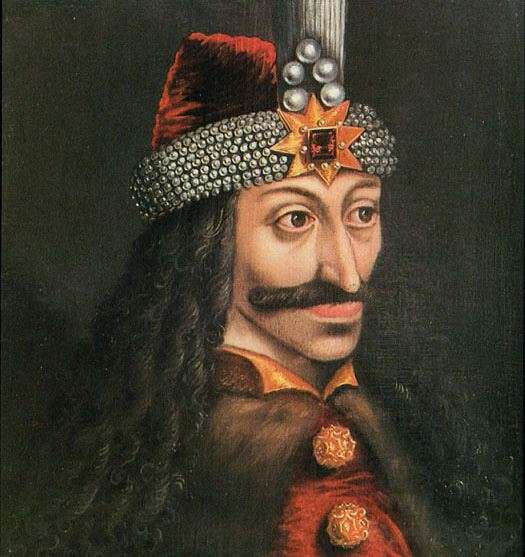 The Monk’s real name was Niccolai Tepes, a homage to historical crazy person and real life inspiration for the actual Dracula: Vlad Tepes aka “Vlad the Impaler”. 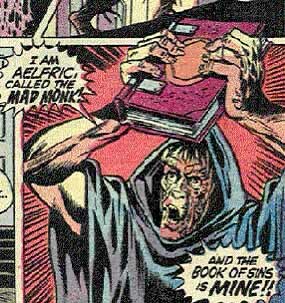 The Mad Monk was a literal vampire complete with the need to drink blood, the ability to turn into a wolf, the ability to hypnotize people into a trance, and an assistant named Dala. While it is unknown why the Monk wants to kill Batman it is made apparent that the Monk does know his secret identity as Bruce Wayne when he kidnaps Bruce’s girl friend Julie Madison. 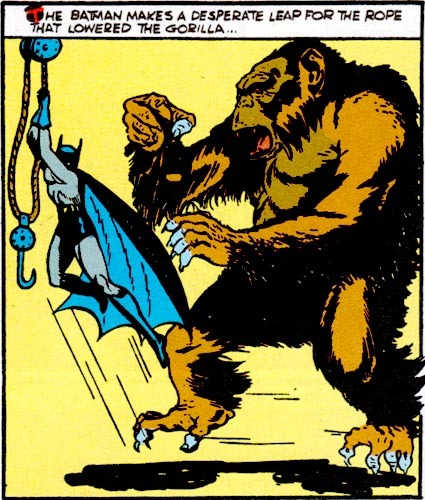 The Monk and Dala hypnotize her and use her to lure Batman into a trap in Paris where he has to fight a giant gorilla. After defeating the beast, Batman is captured and is trapped in a net dangling over a pit of snakes. Because this is a comic book and nobody just wants to shoot their captured adversary. 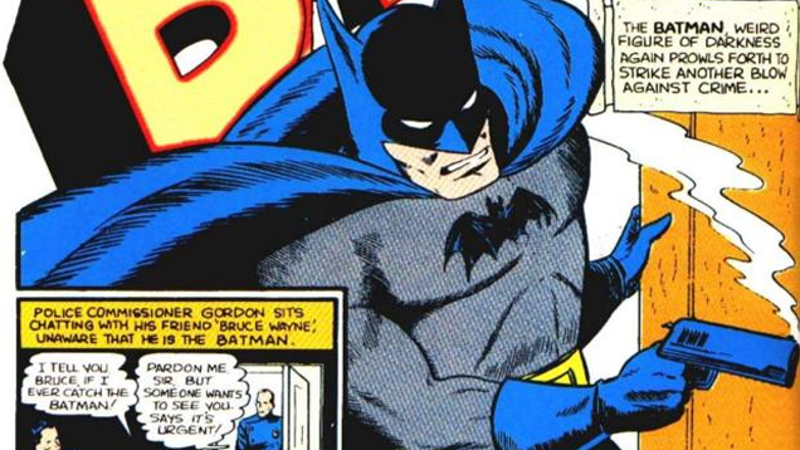 Fun fact: This is the first time Batman ever uses the Batarang in comics. After escaping, Batman tracks the Monk to Transylvania (because of course) and confronts the villain in his mountain castle. The Monk puts up a good fight by transforming into a wolf but Batman manages to knock the wolves out and escape. The comic ends with Batman shooting The Mad Monk and Dala as they lie in their coffins. If you ask me, this was a brilliant display of common sense. 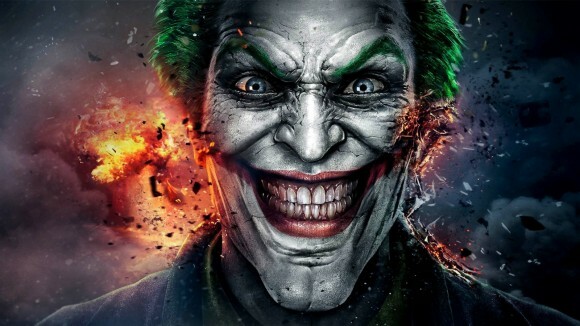 While I think the idea for the Mad Monk is cool, I certainly wouldn’t want an immortal blood sucking creature roaming the streets of Gotham or anywhere else in the world. The Monk remained dead for a long time, probably because he was just two scary and dark for the censorship police known as the Comics Code Authority. reworked the original 1939 story into a modern origin for the Mad Monk in the 1980’s. In the new version the Mad Monk was a former plantation owner who owned slaves in post Civil War America. He and his sister Dala were attacked by their slaves and turned into the undead in a voodoo ritual. Personally, I preferred the earlier version better. 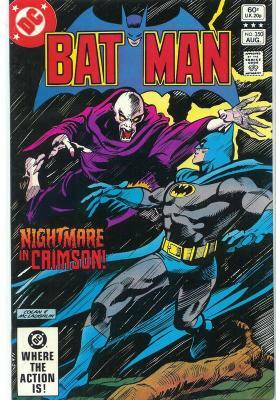 The Mad Monk manged to turn Batman into a vampire but was eventually defeated by a wandering priest named Father Green. The character would be given another fresh coat of paint in 2006 when a six issue mini series was published by DC Comics entitled Batman and the Mad Monk. The Mad Monk is a villain that has been mostly forgotten to history. While he was a pretty one note character who didn’t have much staying power, and while he has been overshadowed by much more complex and interesting villains, he deserves a lot more attention and respect. He was one of Batman’s first true challenges and paved the way for the rogue gallery that keeps us coming back to Batman comics again and again. This entry was posted in Blog and tagged Alan Scott, art, artists, arts, bad, bat, Batman, Bob Kane, censorship, comic, comic art, comic book, comic books, comicbook, comicbooks, comics, Comics code, Comics Code Authority, DC, Dc Comics, detective, detective comics, evil, Garner Fox, Golden, Golden Age, Golden Age of Comics, good, Hero, hypnosis, Mad monk, monk, religion, super villain, super villains, superhero, superheroes, vampire, villain, wicked. Bookmark the permalink.